It is time for the top teams in the country to either put up or shut up. The NCAA Conference Championship games are this weekend and several teams have an opportunity to decide their fate regarding a National Championship. While some of the games are one-sided from a betting standpoint, college football has repeatedly shown us to expect the unexpected. The rankings have shifted a bit since rivalry weekend, and they could potentially change again after these next batch of games. The Big 12 Championship game features 2 of the most effective offenses in the league this year—Oklahoma and TCU. The Sooners have been nearly unstoppable all season long. QB Baker Mayfield is making a strong case for the Heisman and a win over the Horned Frogs would likely win the award for him. RB Rodney Anderson adds to the potent offensive force and will be a constant target in the game. These 2 played earlier in the season and Oklahoma came out on top. The Sooners are ranked #3 in the nation and would lock up their spot in the CFP with a win. While TCU would love the opportunity to play for a National Championship, their #11 spot is too far back to slip in at the last second. In the ACC we have the defending champions Clemson up against the University of Miami. Clemson is currently ranked #1 in the country, despite getting beat by Syracuse. They have a strong defense and QB Kelly Bryant has been playing well throughout the season. The Tigers stand to win their third straight ACC title and enter the CFP as the #1 team with a win over Miami. The Hurricanes enjoyed a strong season and were undefeated before slipping up against unranked Pittsburgh last weekend. The loss saw them plummet from the top 4 to #7. This game is a must-win for Miami if they want a shot at getting back into the Playoffs. Clemson may not totally be out of contention with a loss, but they should do everything they can to clinch their position. The SEC Championship is a rematch of a regular season game between Auburn and Georgia. At one point, Georgia was the top ranked team in the country, that is until Auburn blew them out. Auburn then beat another #1 team in Alabama and moved up the rankings to #2. Auburn’s best player is running back Kerryon Johnson, the SEC’s leading rusher. He has a shoulder injury, but most analysts expect him to play. The Bulldogs have been strong throughout the season as well (Auburn was their only loss). They’ll be looking to redeem themselves and jump back into CFP contention with a win over the Tigers. Ohio State and Wisconsin make up this year’s Big Ten Championship. This is Ohio State’s game to win if they want to get anywhere near a National Championship. They were thought to be out of the equation but have found new hope after Auburn knocked out Alabama. QB J.T. Barret is dealing with an injured knee but is expected to play in the game. The Badgers are undefeated heading into this game. While some may argue their schedule has been somewhat weak, Wisconsin can justify their place in the top 4 with a win over the Buckeyes. 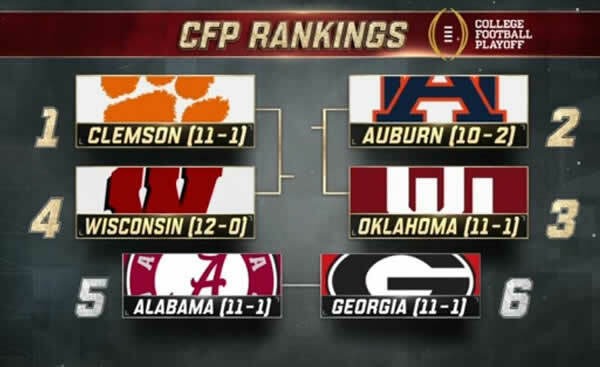 Oklahoma, Clemson, Auburn and Ohio State are all projected to win their respective games. 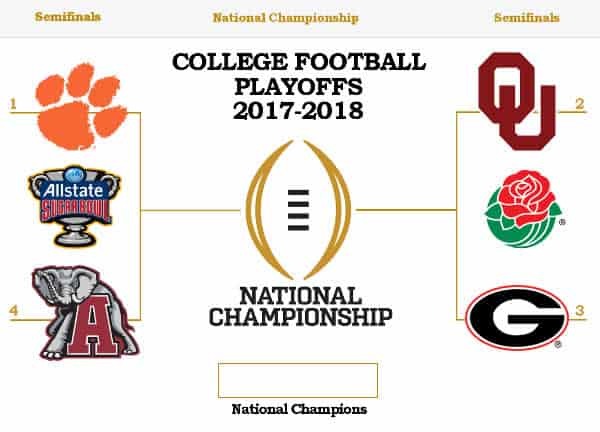 If this happens, expect the top 4 to be Clemson, Auburn, Oklahoma and Ohio State. Auburn and Oklahoma could interchange pending the score of each game. 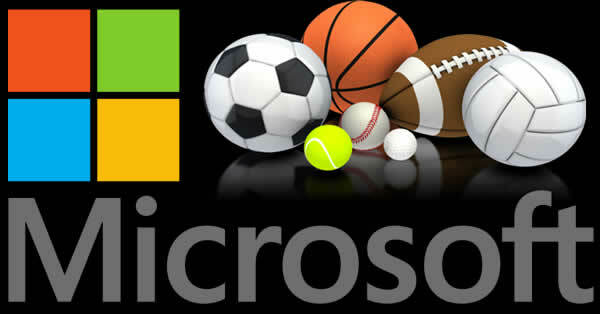 You can find several USA online sports betting options for betting on all the games.